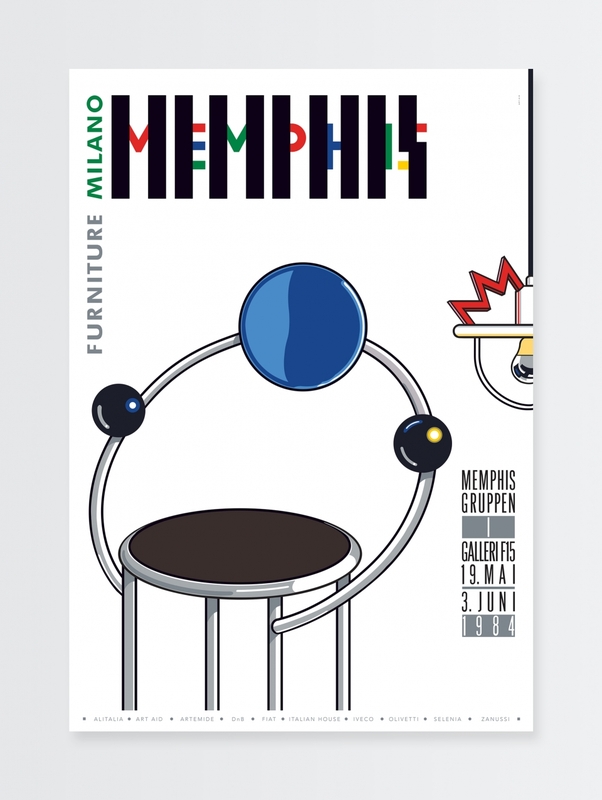 Described as a group focusing primarily on fun and fame—and thus little fortune—the controversial, historically important, and highly acclaimed Italian design group Memphis shook the design world in the 80s’ with their colourful, post-modern geometrical furniture, lighting and accessory designs. 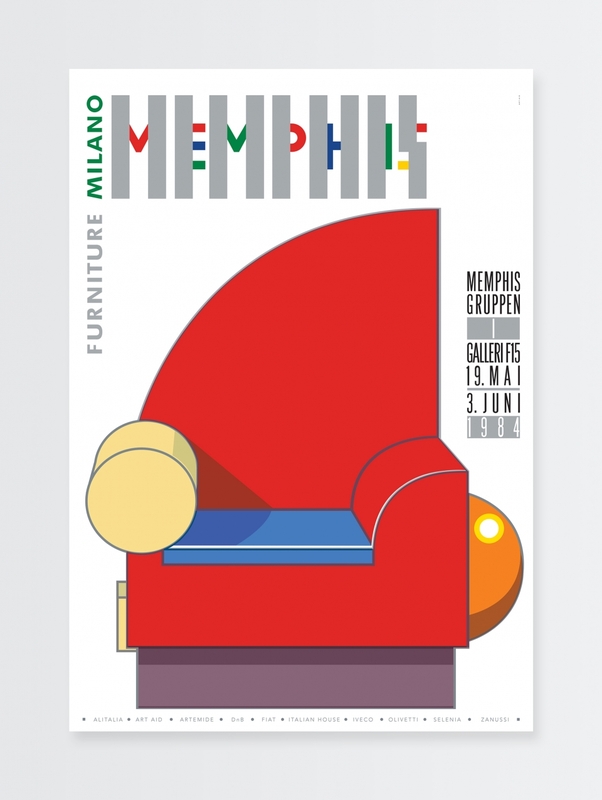 Due to their unconventional approach, the Memphis group, led by famous avant-garde designer Ettore Sottsass, gained an immense level of attention from both the media, design world and pop-culture alike — positioned as something you either loved or hated, and ultimately being part of defining the 80s' aesthetic. In 1984, a Memphis exhibition were to be held at Gallery F-15 in Oslo. The curator at the time, Fredrik Wildhagen, called up Norwegian design studio Art Aid (now known as Grid Design)—consisting of Reidar Holtskog, Terje Børresen, Sven Skaara, Frank Myrseth and Niels Ditlev—asking them to make the exhibition posters. What follows is Norwegian graphic design history of utmost importance. The posters—which won gold in Form 84’, Grafill’s Visuelt, named one of the world’s 50 most beautiful posters by Graphis in 1984, displayed in the Memphis store, published in several textbooks and are permanently exhibited at Stedeljik Museum of Modern and Contemporary Art and Design in Amsterdam, and at Designmuseum Denmark—are now exclusively re-printed in 200 copies, each one numbered and signed by the designers. Want a piece of design history on your wall? Now's your chance.